Explosive kung-fu epics, tragic leftist melodrama, chest-thumping propaganda films, and more are covered in this movie guide that explores a century of Chinese filmmaking, from the silent era to the present. 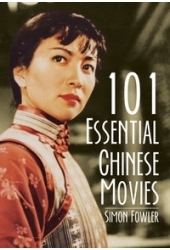 The greatest Chinese movies cover a wide range of genres, are authoritatively listed in this book, and are described in thorough detail that is accessible to film buffs, students, and casual viewers alike. The compendium goes beyond art house and kung fu films that are popular with international audiences to also present movies that connect with Mainland Chinese audiences. Alongside the detailed descriptions of each selection, there are countless recommendations for further viewing, making it the perfect introduction to China’s rich cinematic tradition. You can buy the book at amazon.com here, or amazon.co.uk here.